Pittsburgh Region Clean Cities is hosting a Odyssey Day event at the Community College of Allegheny County – West Hills Center, Oakdale, PA, and we would like to invite you to attend. Presentations, Speakers, Alternative Fueled Vehicles and more! 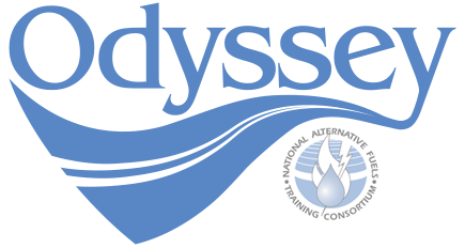 Odyssey Day is an outreach and education event dedicated to promoting the use of alternative fuel and advanced technology vehicles. It is coordinated by the National Alternative Fuels Training Consortium (NAFTC) headquartered at West Virginia University in Morgantown, West Virginia, in partnership with the U.S. Department of Energy (DOE). The first event was held in 2002. Contact: For more information, please contact Rick Price at (412) 735-4114. Join us Friday, October 14! 9 a.m. – 2:30 p.m.
Pennsylvania is on the forefront of the energy revolution. By providing the resources to keep vehicles refueling with American energy products for the next century, Pennsylvania is creating economic stability, domestic jobs and energy security. Pittsburgh Odyssey Day features break-out discussions, including expert panels, vehicle and vendor displays and lunch. Over 30 different vehicles will be on display, including trucks converted to compressed natural gas, both dedicated and bi-fuel. Also included will be hybrid, bio-diesel, propane and electric vehicles. Your free registration includes light refreshments at breakfast, full lunch, all break-out panels, vehicle demonstrations and vendor fair. The day caps off with prize drawings for all those in attendance. Event Highlights: Themed Driving Toward a Clean, Secure Energy Future, the Pittsburgh Regional Clean Cities Coalition hosted their Odyssey 2014 event with U.S. Senator Bob Casey, Jr. as one of the first speakers. Casey mentioned the importance for the Senate and Congress to pass the tax extenders bill to further the advancement of the use of alternate fuels and presented a letter, signed by 16 others Senators for the efforts put forth to educate our region on the importance of alternative fuels. Breakout panels featured subjects including fueling infrastructure, funding, and training, first responders, and alternative fuels at well sites. Featured speakers included: Bob Bowman of Southwest Ambulance, Dana Brewster of American Power Group/Penn Power Group, Paul Harnagy of the Wexford VFD, Ron Phelps of Beemac Trucking and Dr. Christina Toras of California University of Pennsylvania. Event Highlights: Pittsburgh Region Clean Cities held their 3rd Annual Odyssey Day event this year at the Community College of Allegheny County – West Hills Center. Attendees were able to talk with more than 20 vendors and view over 24 alternative fuel vehicles and other motor equipment that were on display. This year’s event included Sustainable Pittsburgh and some air quality sessions, which referenced alternative fuels, technology, and regulations. The morning started off with a welcome by President Dr. Donna Imhoff of CCAC. She stated that each year she is amazed at the different technologies and vehicles that are brought to Odyssey Day. Giant Eagle brought the first-ever CNG 11.9 Volvo Class 8 tractor to display at the event. Tegas Gosai from All Energy Now also spoke about CNG, and Allegheny County Executive Rich Fitzgerald came in and spoke about how the county views the use of alternative fuels. During lunch, Rich had a chance to drive the CNG One Source’s bi-fuel F150. Highlights: Click Here For Agenda! Time: 9:30 a.m. – 2:30 p.m.
Sponsors/Partners: Sheetz, Giant Eagle, Get Go Fuel, Ecofriendly, LLC, Fuelmaker, BMW/Mini Cooper of PA, Honda, Chatham University, University of Pittsburgh, Carnegie Mellon University, WPTS, and Bike Pittsburgh. Event Highlights: On Friday, October 3, 2008, the second annual Alternative Transportation Festival (ATF) was held in Schenley Plaza. Centrally located in Oakland, this festival raised public awareness of alternative means of transportation and advocated for the use of public transportation, car-sharing, alternative fuels, and human-powered vehicles. Highlighting Clean Cities stakeholder projects, the festival showcased Pittsburgh’s own innovations and activities in alternative transportation. Activities included a bike repair workshop, biodiesel production demos, vegetable oil conversion workshops, ride-and-drives with new flex-fuel vehicles, free music and food, car-sharing and car-pooling demos, alternative fuel vehicle, hybrid, and “Smart-car’ demos, and much more! Event Highlights: “The Future of Fuel” showcased multiple alternative fuel vehicle technologies, including tractors running on biodiesel, a rare Toyota EV, passenger and municipal hybrids, NCG bi-fuel vehicles, and E85 Flex Fuel Vehicles. OEM and organizational representatives were available to answer questions from attendees. A mobile biofuels pump distributed free biodiesel and ethanol donated by local producers. An informational area was designated that featured educational and promotional materials from partners and sponsors. A series of speakers also took part, highlighted by the Mayor of Pittsburgh announcing that the city will be transitioning its entire fleet to biodiesel.